The mission of the Reach Out of Montgomery County is to provide health care access to the uninsured and underinsured population of Dayton, Ohio, and surrounding areas. Students at Boonshoft School of Medicine are able to volunteer at the clinic, learning clinical skills and experiencing the fast-paced nature of the medical field. Student volunteers actively participate in patient triage and charting with a variety of medical professionals, and often have opportunities to learn clinical procedures and diagnostic techniques first-hand. Reach Out is a valuable volunteer experience for medical students in their pre-clinical years, who often don’t have substantial exposure to the clinical setting. The clinic truly appreciates its student volunteers. Please contact a member of the Reach Out Student Board for more information! Sharon J. Sherlock, R.N., D.H.A. 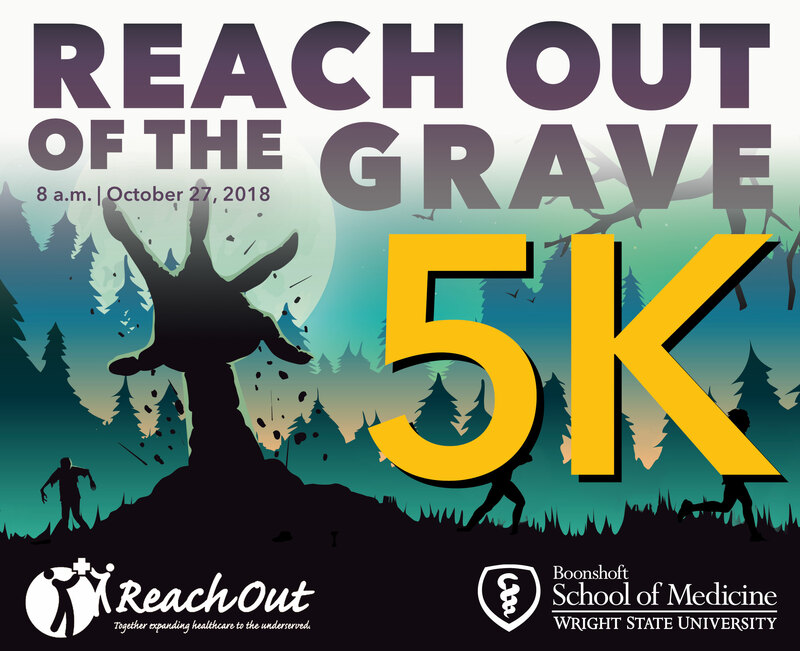 Medical students from Wright State University’s Boonshoft School of Medicine have established the first annual Reach Out of the Grave 5K fundraiser to benefit the local, free clinic, Reach Out of Montgomery County. This year’s proceeds will enable Reach Out to expand its physical therapy department in order to better serve patients who suffer from mobility constraints and mobility-related injuries.